Precision Medicine World Conference brings together a mixed audience of clinicians, pharma executives and researchers, as well as scientists from the most esteemed universities and hospitals. Everyone sharing the same vision of advancement of the precision medicine field, ready to present their work, ideas, and learn new scientific advances from each other. PMWC had many highlights this year pointing out the trends we are going to see this year. Dr. Lawrence Fong of USCF provided a compressed presentation about evidence of overstimulation of the immune system in cancers with low disease presentation, leading to extinction of T cells reactive to tumor neoantigens. There was also a lot of attention to CAR T cells therapies, TCR repertoire sequencing and new developments in liquid biopsy. A definite highlight of the second day of the conference was an extremely interesting panel discussion with precision medicine rock stars: Ralph Snyderman, J. Craig Venter and Brook Byers, which brought crowds to the room. During the discussion J. Craig Venter pointed out AI as the leading driving force of digital medicine. To complete the view, Brook Byers said that the next breakthrough is going to happen in neoantigen-based and cell therapies. We are sure it is going to be a very interesting year for immuno-oncology. This year, Ardigen was represented by our Immunology Director, Piotr Stępniak, Product Development Director, Tomasz Marszał supported by Business Development team Dr. Karolina Tkaczuk and Dr. Agnieszka Piotrowska. 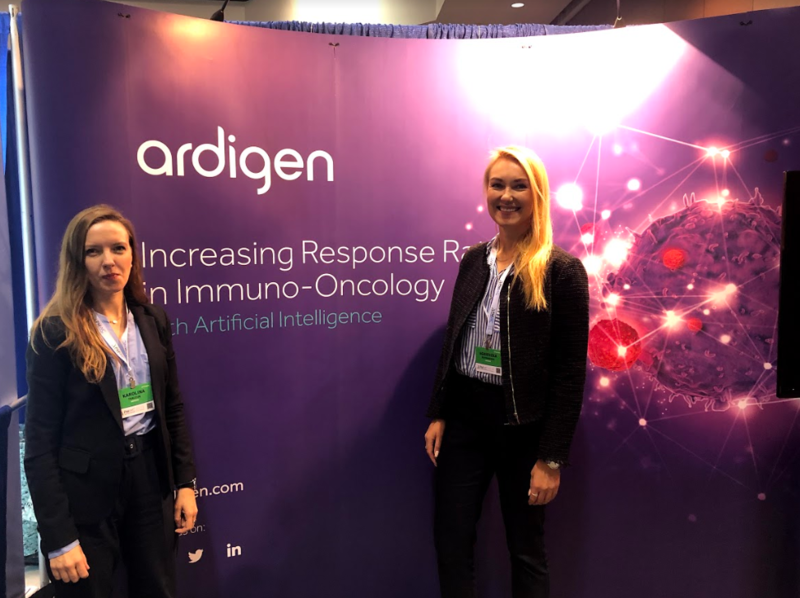 We would like to thank everybody for stopping at our booth and the numerous interesting conversations we had, as well as everyone who attended Piotr’s talk about how Ardigen is focusing on the mission of increasing response rates in immuno-oncology.